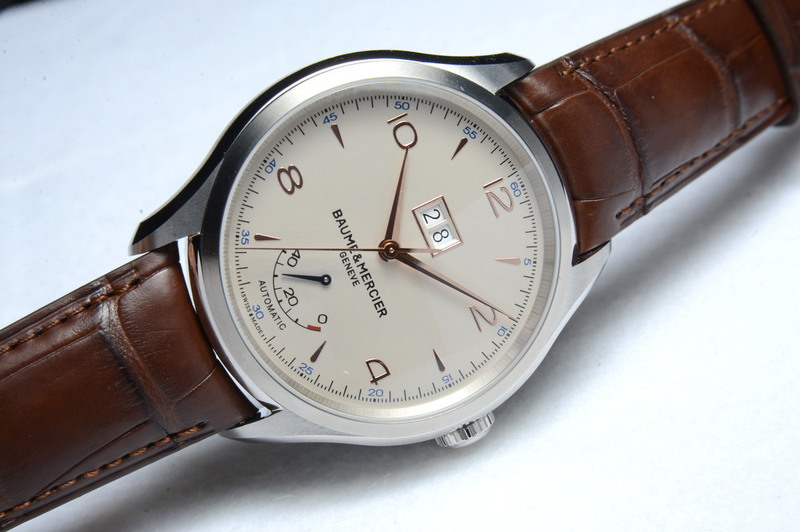 During the last couple of years, Baume & Mercier has been concentrating its watchmaking efforts on reaching a younger clientele. Marketing strategies were revisited and collections were revamped to reach a younger market while always remaining true to the brand’s mission of providing stunning, high-quality and luxurious Swiss wristwatches at affordable price points. 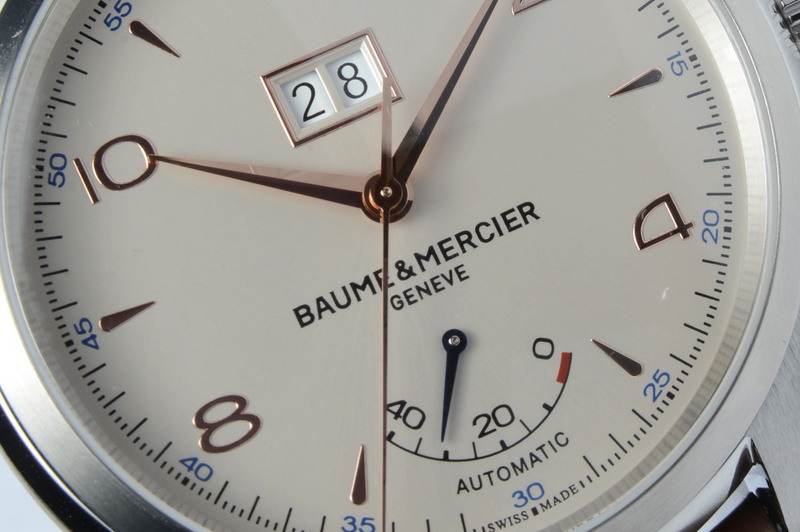 This strategy propelled Baume & Mercier to launch the Clifton collection in 2013 and continues to inspire the brand to bring even more innovations to the collection today. Baume & Mercier’s Clifton collection draws its inspiration from one of the brand’s wristwatches from the 1950s, which featured a classic round and simple case with an uncluttered dial design highlighting only the true essence of timekeeping—the hours, minutes and seconds. The Clifton collection was such a hit when unveiled at SIHH 2013 that the brand brought more complications to the line in 2014—such as a stunning tourbillon as well as a retrograde model—proving that this new family of watches had the potential to grow even stronger. 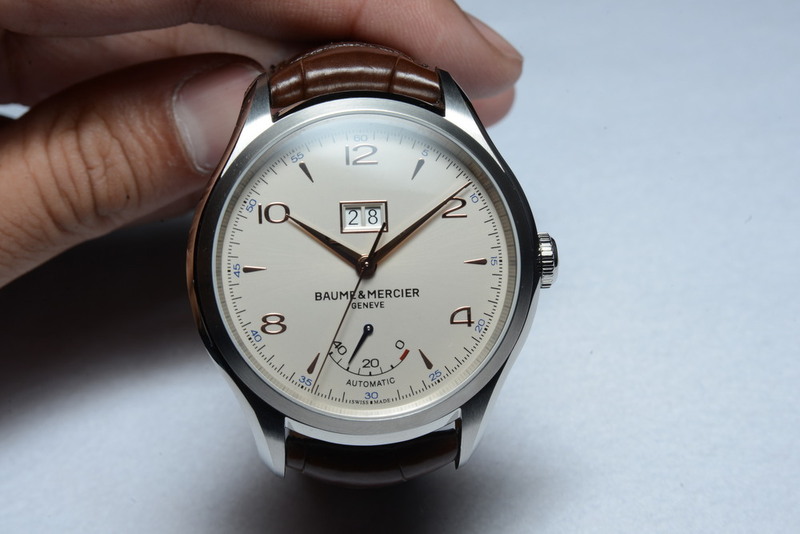 This year, Baume & Mercier brings an additional member to the family, the Clifton Big Date and Power Reserve, which is bound to appeal to a younger and older clientele alike. The Clifton Big Date and Power Reserve is just as attractive as the rest of its siblings, with its pure dial design and elegant round 43mm stainless steel case. Building on the design codes established with previous models in the collection, this new timepiece’s dial is extremely legible and features the same contemporary yet sober look with hour, minute and second hands, Arabic numerals, hour markers and a minute track. The timepiece’s two complications are strategically placed on the dial so as not to disrupt its legibility, the big date display being located at 12 o’ clock while the 40-hour power reserve indicator being showcased at six o’ clock. 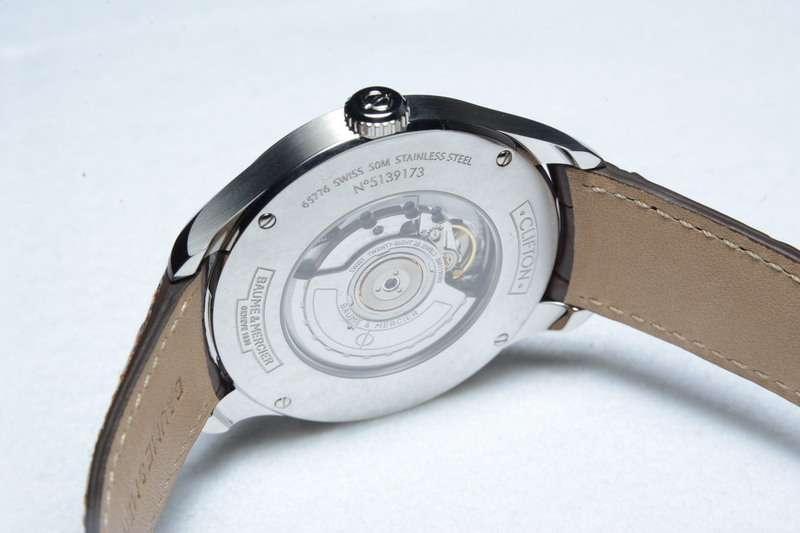 Turn over the watch and the caseback reveals its mechanical automatic movement and oscillating weight engraved with the Greek letter Phi— a symbol portrayed in the brand’s logo and representing the Divine Proportion. With the introduction of the Clifton Big Date and Power Reserve, the collection welcomes yet another elegant and modern timepiece to choose from. Aesthetically pleasing and exuding all the high-quality of a Swiss wristwatch, this is not just another watch to dream about, but one that is relatively affordable in this wonderful world of haute horlogerie.